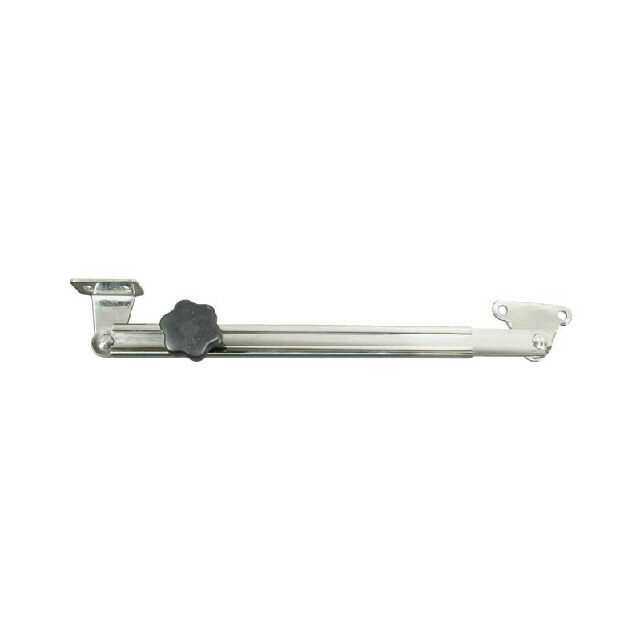 Light duty pressed stainless steel support for hatches and windows. Black plastic locking knob. 48mm x 12mm mount the other.